Nature Valley always used to be my go to snacking and I was so envious of the US who seemingly had an abundance of peanut butter versions. Envious no more as on our shelves we finally have the Nature Valley Crunchy Peanut Butter Bars. Huzzah. There is this whoohaa over cereal bars being complete trash for you, yes that maybe the case some are worse than others, but it’s all about balance. I find these far more useful to fling in the handbag for when you are on the go and in need of some food rather than just for breakfast. I found these newbie bars in Sainsbury’s for £2.39 and have also seen them in Waitrose. Each box contains 10 bars split 2 per sealed packet. Made from 100% wholegrain oats and no preservatives or colourings, they are also suitable for vegetarians and those lactose intolerant. Gosh I had forgotten how good Nature Valley Bars were. They really have the texture thing down to a tee. With an audible crunch with every mouthful, there is no eating these incognito. 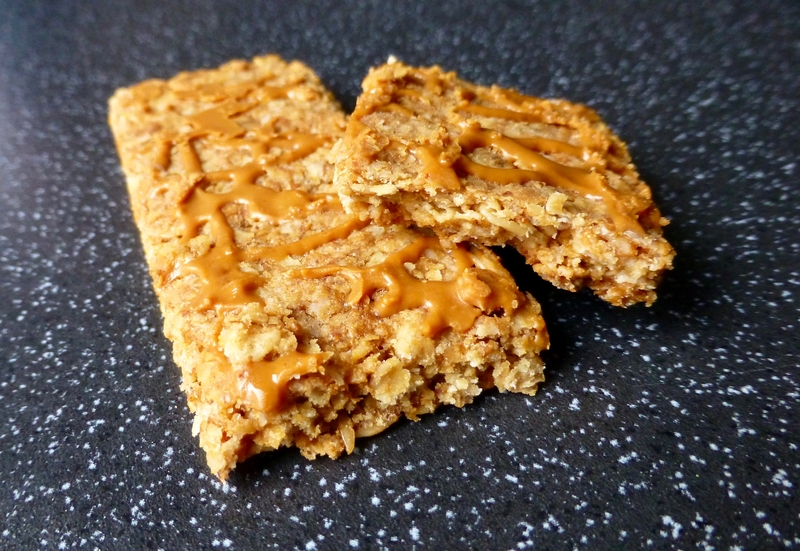 The oats were chunky and had a bite to them, the sweetness evident but not overpowering and the size of one bar alone is enough to quash those hunger pangs. The peanut butter drizzle is a little on the stingy side and the squishing of the top and bottom bar means most of it transfers onto the underneath of the top bar. I could detect a natural peanut butter flavour but it did get lost amongst all those oats which is not what you want. A layer of peanut butter really is needed to ensure consistency and punch in flavour. Despite the lack of oomphness from the peanut butter drizzle I still loved these Nature Valley Crunchy Peanut Butter Bars. They aren’t too sweet, taste delicious and still have some hint of peanut butter. 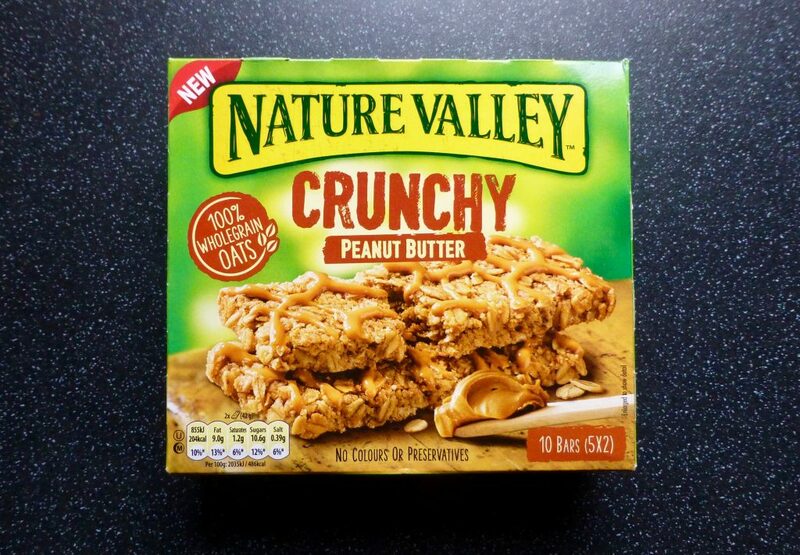 A solid effort from Nature Valley, now please bring some of your other peanut butter delights and snazzy flavours to the UK.